Archive by category "Current News"
Judges over you are vitally important! On November 8, 2016 the people of Jefferson County will not only be voting for a President but, of equal importance, voting for persons who will be sitting as judges ruling over their relationships with other people in the community. This is an important position that may affect you more directly than the office of President. (NKJV) 1 Sa 8:3 But his sons did not walk in his ways; they turned aside after dishonest gain, took bribes, and perverted justice. This is also a problem today if we do not elect honest people: Men and women who have a respect for Almighty God. This is a most difficult thing to do when you do not know the people you are voting for. All of the candidates are qualified but not all of them respect the God of the Bible. Remember, the letter of the Law can kill. It is the Spirit that matter! (NKJV) Dt 16:18 “You shall appoint judges and officers in all your gates, which the Lord your God gives you, according to your tribes, and they shall judge the people with just judgment. 19 You shall not pervert justice; you shall not show partiality, nor take a bribe, for a bribe blinds the eyes of the wise and twists the words of the righteous. 20 You shall follow what is altogether just, that you may live and inherit the land which the Lord your God is giving you. The Gatekeepers Association will publish for you the assessment of the consensus of the pastors and leaders in its organization. We will present our opinions of the candidates on a scale of 1 to 5 with five being high and one being low. We will rate each candidate based upon our combined discernment of each candidate to not only make judgments according to the law but also with a reverence to Almighty God. We will rate them according to each pastors discernment of their respect to the wisdom, virtue and commandments of God. We hope that this will help you give prayerful consideration as to whom you should vote for. Don’t make the mistake of ignoring this important responsibility. Judges have the power to help make or destroy your life. Be careful in your decisions! Friday, May 13, US Representatives Martha Roby (R-Montgomery), Bradley Byrne (R-Montrose), Gary Palmer (R-Hoover) and Alabama Attorney General Luther Strange (R), all issued statements blasting the Obama Administration for its threat that public schools who do not comply with the President’s pro-transgender agenda will lose federal funding. AG Strange told the Alabama Media Group’s Crystal Bonvillian that if President Obama wants to try to enforce this edict that Strange will join with other attorney generals in fighting this. One school superintendent told the Alabama Political Reporter that a possible solution to this would be to rip out all the existing restrooms and replace them all with individual restrooms like a line of portable toilets at a outdoor event; but the cost of retrofitting all of Alabama’s schools would be substantial…though perhaps less substantial than the cost of litigation. Because it really does appear propriety took a bag of money and lit out for the hills. Candidates who paid thousands of dollars to officers of the Jefferson County Young Democrats received the group’s endorsement, prompting cries of pay to play. But we’ll get to that, because it is complicated. It started last week – I wrote about parts of it a couple of days ago – when Jefferson County Young Democrats President Le’Darius Hilliard announced endorsements. Hours later the state organization declared the endorsements invalid because the Young Democrats’ constitution bans endorsements for the primaries. 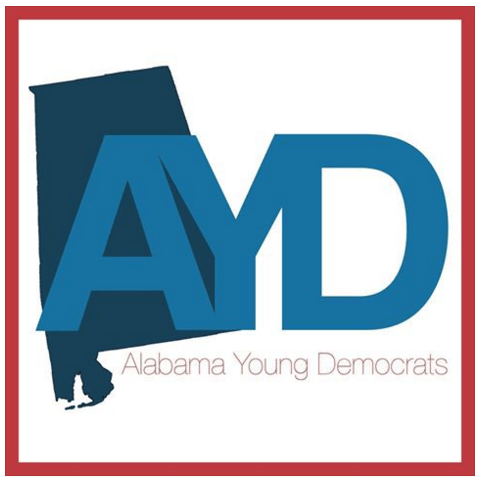 The Alabama Young Democrats say the Jefferson County Democrats are flying too close to the fire. Hilliard said the state group’s intervention amounted to “sabotage.” He said the county group wasn’t actually making endorsements – even though the headline on his press release read: “Jefferson County Young Democrats Release 2016 Primary Endorsements.” Instead, he said, his group in December set up a PAC – called the Jefferson County Young Democrats PAC – that issued the endorsements. Still, the executive board of the state group on Thursday voted to suspend the Jefferson County chapter until the group changes the name of its PAC and meets other demands. Hilliard said the rift is indicative of the way Democrats in Alabama can’t seem to get along. State lawmakers have offered new details regarding controversial amendments to the Birmingham Mayor-Council Act. Council members claim it is a power grab by Birmingham Mayor William Bell and his allies in the legislature. Just a few weeks ago, a full house gathered for the city council hearing on the amendments, with most of the criticism aimed at the mayor and state lawmakers. A day after that event, the mayor called the information presented at the hearing misleading and lawmakers called it incomplete. Monday night at a forum, bill sponsor Oliver Robinson is sharing details on five amendments designed to streamline the Mayor-Council Act and clarify any questions about the role of the mayor and the role of the council. Councilor Steven Hoyt says lawmakers have shown little interest in discussing the bill with both the mayor and council present. The bill is expected to be filed at the statehouse as early as Tuesday morning. There were several outbursts during the meeting on Monday night by people who are against the proposed changes. Some citizens say they don’t think some lawmakers are being truthful about why they’re proposing changes to the Mayor-Council Act. “This is the biggest power grab and we as citizens of Birmingham object the plan,” said one Birmingham resident against the changes.